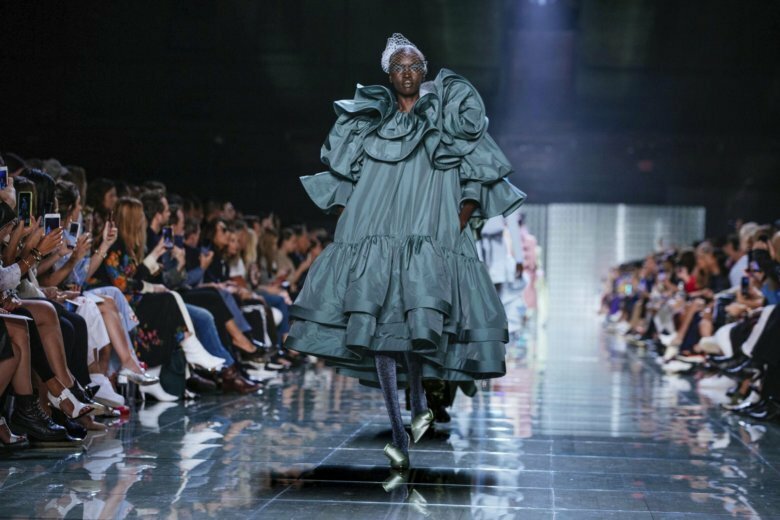 NEW YORK (AP) — In recent years, Marc Jacobs has become known for starting his runway show — which traditionally closes out Fashion Week — with military precision at 6 p.m., no matter who’s running late. It was a shock, then, when Jacobs kept his guests waiting for 90 long minutes on Wednesday, tapping their feet and staring at their phones. Whatever the reason, those who stayed put at Jacobs’ show in the spare, cavernous Park Avenue Armory seemed delighted they’d done so. They were treated to a happy injection of old-style glamour and charming excess, expressed in eye-catching pastels, ’60s-style bouffant hairstyles, and ruffles, ruffles and more ruffles.